Birthdays, Weddings, Anniversaries, and Reunions are all events that deserve a special experience. 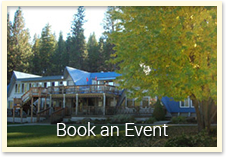 At Terrace Lakes Resort, we love to help you create the type of celebration that you desire. Honor your special occasion surrounded in the beauty of the Boise National Forest and let us help you create memories that will last a lifetime. 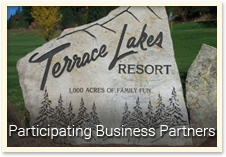 Terrace Lakes Resort and Golf Course is located in Garden Valley Idaho, nestled in the forest hills 3 miles from Crouch Idaho. The 18-hole course meanders through the forest, with tree lined fairways that give the course a tranquil setting but an intimidating look. Although there is trouble on every hole and water that comes into play on 9 of the holes, the course is very playable for all skill levels. Corporate and group outings are a viable part of our business. 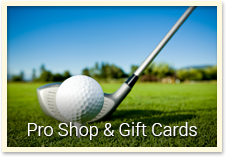 We strive for excellent customer service in our golf operations and food service. 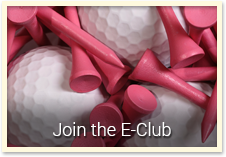 Some of our amenities include a great golf course with driving range and putting green, a full fleet of rental carts for all your players, tennis courts, a full sized geothermal swimming pool, an outdoor pavilion complete with bar and grill and a golf shop that has quality brand name equipment and a friendly staff to make your event run smoothly. Our full service restaurant and bar will supply all the food and drink you need for your event to be a success. *Tax not included in prices, prices are per player and are subject to change.